This casserole dish is so easy to prepare, and tastes delicious once its cooked. It is full of good, healthy fats,complex carbohydrates and protein to keep you nourished and satiated through the day. 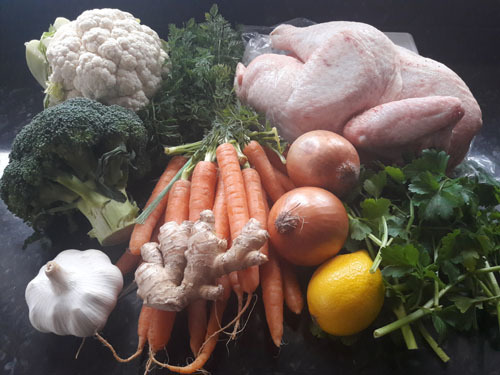 This recipe can be used on a Gaps diet, Paleo or Ketogenic diet. Wash the chicken and put aside to drain. Melt the ghee/butter in a small saucepan on low heat. 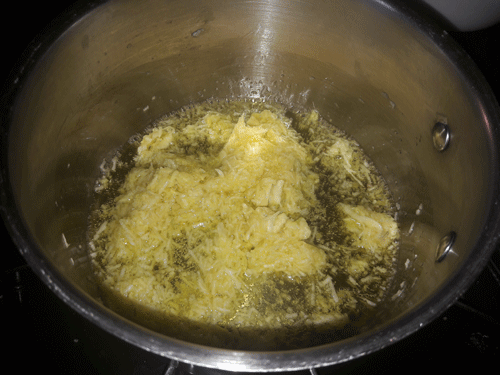 Add the grated garlic and ginger and stir in the melted ghee/butter and then turn off heat. 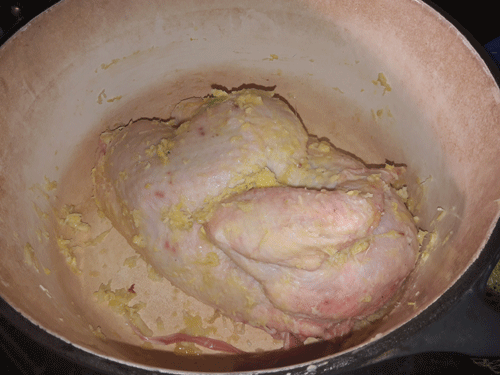 Once the mixture is cooled, rub the mixture well onto your chicken, make holes with a knife and stuff into the chicken. 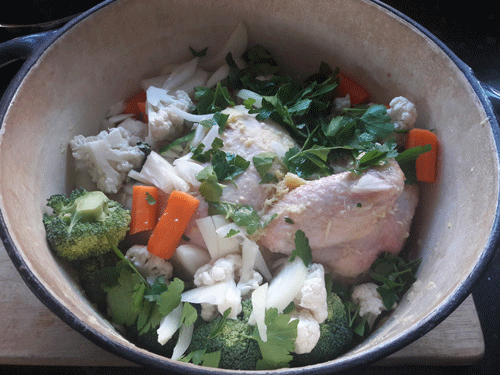 Place the chicken in your ovenproof casserole dish. 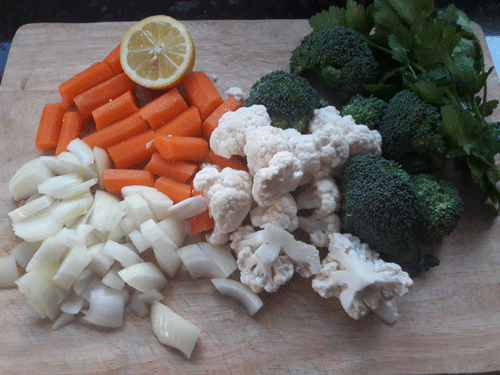 Add the rest of the ingredients into the casserole dish and mix well. Put a lid on your dish and place in the oven on a medium heat (gas mark 5/ 6) for 2-3 hours.